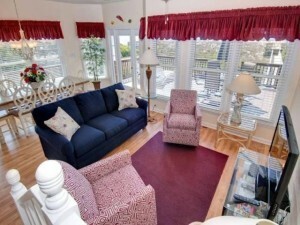 The oceanfront views of this cozy Emerald Isle duplex will not disappoint. 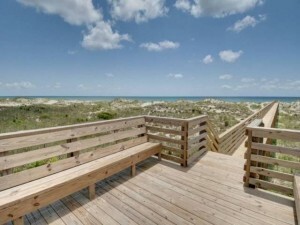 If you have been considering buying along the Crystal Coast, now is the perfect time. 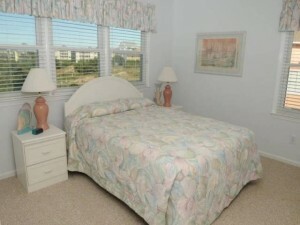 This charming 4 bedroom and 3 bath home invites you to relax and enjoy your new beach life. 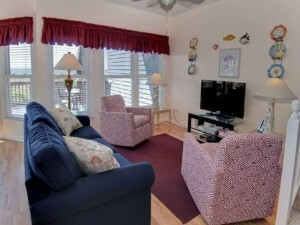 You will feel right at home as soon as you step in the door of this property. The home is light and airy and surrounded by tall and open windows. The property has an open floor plan that allows for easy entertaining. 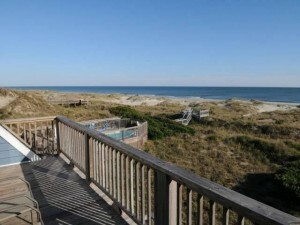 The living room is surrounded by windows that look out over flowing sand dunes and the Atlantic Ocean. Your main living area conveniently flows into a large dining room where even a well appointed dining room set will fit perfectly. New and beautiful blonde hard wood floors are through out the living and dining room space, as well as the kitchen. For the discerning home chef, this kitchen will be perfection. It offers ample prep and cooking space. 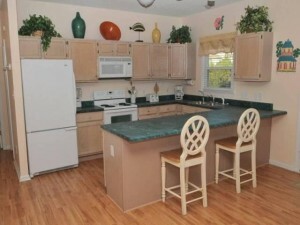 As you walk into the kitchen you will immediately see the upgraded counter tops as well as some appliances. 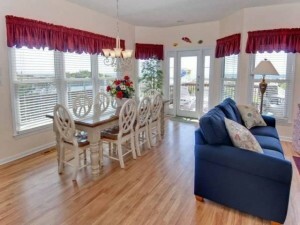 The light wood cabinetry fits perfectly in to this beautiful beach house. The kitchen also offers an eat-in counter for those quick meals. 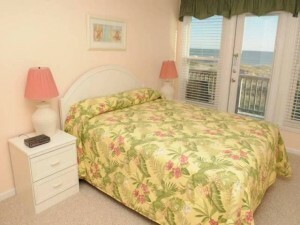 If you are looking for a little slice of heaven at night, look no further than the master bedroom. 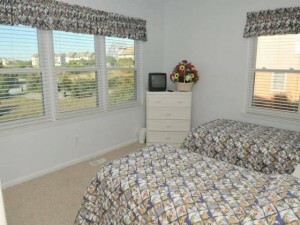 It is a spacious room with a brand new King size bed that will allow you to get away from it all. 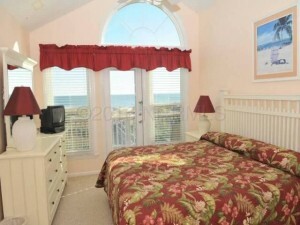 In the mornings you will enjoy incredible views out the arched window. You can enjoy your own piece of luxury with a door out to your private balcony. Take your morning coffee or an evening cocktail on the new patio furniture and be relaxed by the sound of the ocean waves. You will enjoy extensive upgrades through out the house, including new carpeting in all 4 bedrooms. 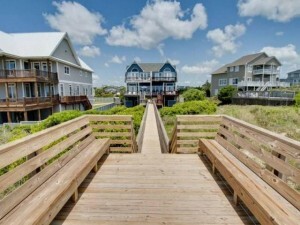 If all of that weren’t enough, this exceptional beach house has a private walkway to the ocean. Whether you are lounging as you take in the breathtaking Emerald Isle sunsets or simply enjoying a home cooked meal, this stunning home will be a dream come true. 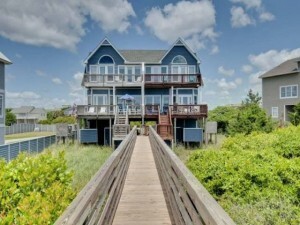 Call today 855.891.1962 to find out more information about this beautiful Emerald Isle beach house and start making memories for generations to come.  • Property Size: 1,622 sq.ft.